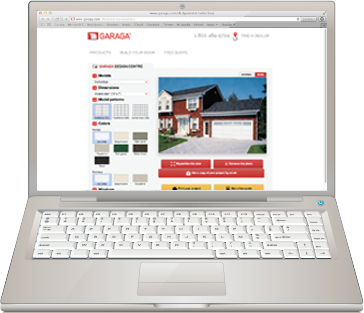 At GARAGA, we ensure that all of our customers find some of the most beautiful and durable garage doors that remain attractive even after years, or decades of service. How do you get optimal efficiency in a garage door? Look at more than R‑value… and consider weather stripping and thermal breaks that block cold air from seeping inside. 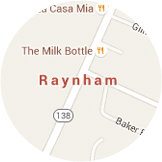 Good installation is the key to a well-performing garage door, and it is why GARAGA has create a network of certified installers in Raynham, MA. Customers of all kinds benefit from our 120+ years of expertise. Bourne, Brockton, Braintree, Brewster, Bridgewater, Buzzard's Bay, Cape Cod, Centerville, Chatham, Cotuit, Dennis, Douglas, East Sandwich, Easton, Falmouth, Harwich, Hyannis, Kingston, Marstons Mills, Martha's Vineyard, Mashpee, Medway, Medfield, Middleboro, N. Attleboro, Newport, Orleans, Osterville, Plymouth, Quincy, Randolph, Raynham, Sandwich, Taunton, Yarmouth, Worcester. Enjoy great returns with a new garage door! A cost-value study* done by “Remodeling" magazine in 2015 showed that midrange garage door replacement projects averaged around $1,674 in New England. Amazingly enough, property owners in New England were able to recoup roughly 84% of the cost of their garage doors when properties sold. It is frustrating to work with salespeople who try to push the priciest products on you - regardless of your needs. Our dealers don't operate like that and will first work to determine your budget and help you get all of the options you need (explaining any you may have overlooked) to get the ideal door. Enjoy no pressure and no rush to sign when you let them help you make the right decisions. If the thought of an intruder sneaking in through your garage has ever woken you up in the middle of the night, bring such fears to an end. Our LiftMaster garage door openers provide you with the utmost in the safety and security thanks to their excellent operating systems and durability. 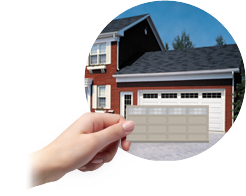 They guarantee that you garage door is properly secured, and that your home is safe, at all times. This is why we happily offer you the best products on the market, with LiftMaster at the top of the list. 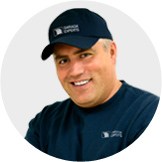 Every installer, technician or repairman working with GARAGA will be the utmost in professionalism, friendliness, and knowledge. GARAGA makes customers the priority, and it is why we provide each one with highest quality service, and why we always emphasize their budgets and needs. Our skilled technicians guarantee that all installations are completed with skill, and that not a single issue is overlooked. To ensure that any garage door operates securely and satisfactorily, get in touch with our dealers. They can send out the skilled technician or repair person to adjust, repair, or correct any issues and give you peace of mind.